When you need a family dentist you can count on, turn to Greg DeVor, DDS, for your family dentistry needs. We accept most insurance plans. From veneers and other cosmetic procedures to fillings, root canals, and orthodontics, we offer the treatments you need to maintain your family's oral health, in a comfortable, relaxed environment. Family and Pediatric Dentistry Services When you need a family dentist you can count on, turn to Greg DeVor, DDS, for your family dentistry needs. We accept most insurance plans. From veneers and other cosmetic procedures to fillings, root canals, and orthodontics, we offer the treatments you need to maintain your family's oral health, in a comfortable, relaxed environment. Why make multiple trips to appointments at various offices when one dentist can handle all your family's oral health needs? With all ages welcome at our practice, we can help set the stage for healthy habits and teeth later in life for our youngest patients. 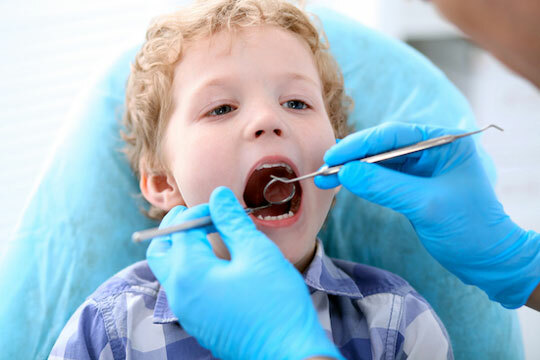 Whether you or your child needs fillings, cleanings, X-rays, or braces, we want our patients to feel comfortable and relaxed. We understand that some patients have anxiety about dental appointments. Because of this, we work hard to ensure the comfort of our patients at every appointment. We believe that building a lasting relationship between your child and your family dentist is the best way to avoid dental treatment anxiety later in life. Whether you're interested in implants as a permanent solution to tooth loss or braces for your child, Dr. DeVor can discuss your concerns and goals, and provide you with treatment options that suit your family's needs. Why Choose Dr. DeVor As Your Family Dentist? Dr. DeVor has dedicated his life to the service of others. A former Marine, he took over the practice of his childhood dentist. He maintains membership in several professional organizations, including the American Academy of General Dentistry, Low Country Dental Society, and the 38th Parallel Dental Association. For over 15 years, Dr. DeVor has been serving his community with excellent care. He opened his first office in 2002 and moved into his current office in 2007. Dr. DeVor is known for taking the time to discuss each patient's needs and helping to devise a treatment plan effectively. Contact us today to schedule an appointment and put your family on track to a future of brighter smiles!